The Travelling Lindfields: Don't drink the yellow coke and 9 other life-saving tips for surviving Angkor Wat. 1. Don't drink the yellow coke! You will see it all over the place in little roadside stalls packaged in Coca Cola and Fanta bottles. Even if you are really, really thirsty - don't drink it. It isn't coke! 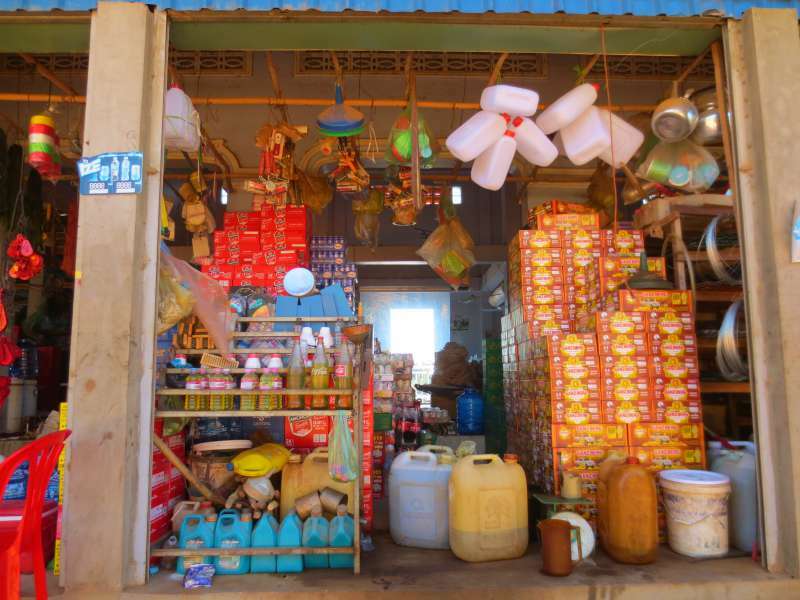 It is Cambodia's version of a petrol (gas) station. We couldn't work out where the zillions of motor scooters and tuk-tuks got their fuel when there was a hardly a petrol station to be seen. Then we discovered the secret of the yellow coke! Can you see the yellow coke! 2. Ride in the comfort of an air-conditioned car. 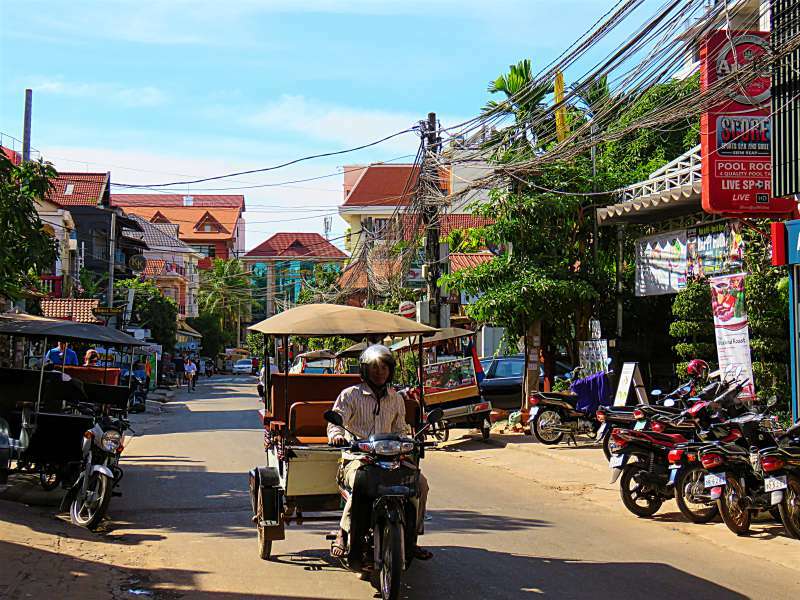 Tourists are not allowed to drive in Siem Reap and, trust me on this one, it is much too far to walk to the temples. You have a choice between hiring a car or a tuk-tuk. Both come with their own drivers. The truly insane might hire a bicycle but in the monstrous heat and humidity I am not sure whether any cyclist has come back alive. Do yourself a favour and hire a car. The bursts of air-conditioned comfort between each temple are pure heaven. You'll also travel much faster than the tuk-tuks so you have a better chance (nil plus 1) of ticking off all one thousand temples in three or four days! We had a choice between hiring a Camry and a Lexus. We went for the cheaper Camry on day 1 and 2 and a mini-van turned up instead. It was comfortable enough however on day 3 we could only get a Lexus. It was much, much nicer. My tip: Forget the extra cost and go straight for the Lexus. We paid US$45 for the Camry/van and US$60 for the Lexus. Both were organised by the hotel concierge. David and I in a tuk tuk going for a fun ride around Siem Reap. 3. Hire a guide for Angkor Wat and Angkor Thom. Angkor Wat is the largest religious building in the world. Angkor Thom is a city which once housed one million people. They are both huge and labyrinth like. A local guide will help you make some sense of the endless passageways and their intricate carvings. Drivers are not allowed to act as guides. 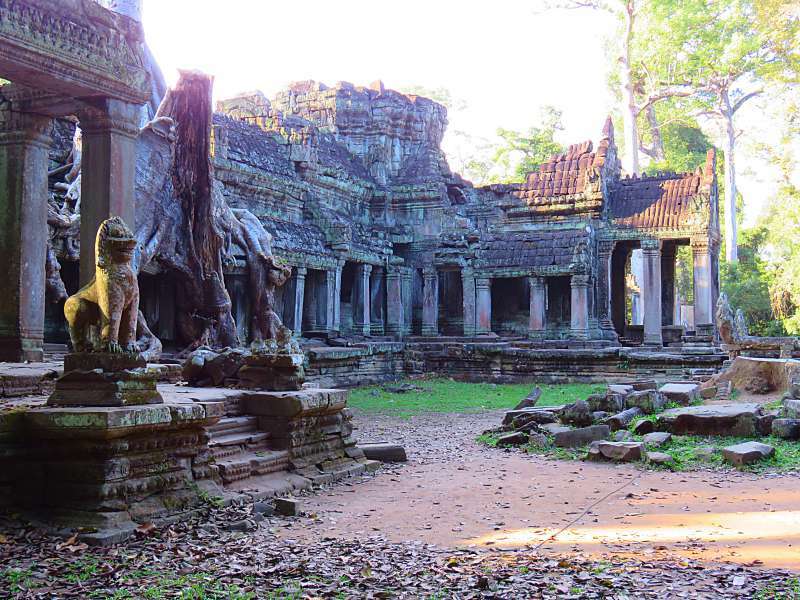 Once you have ticked Angkor Wat and Angkor Thom off your list you can ditch the guide if you are the independent type. None of the other temples are as massive. Like our drivers, our guide was organised through our hotel concierge. 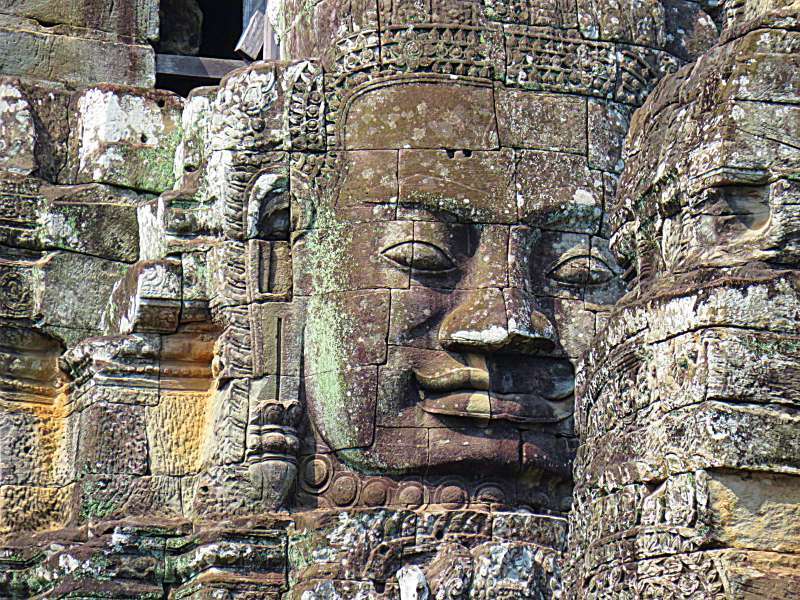 One of many carved stone faces at Angkor Thom. 4. Bring photo ID to buy your ticket. The ticket complex is between Siem Reap and the temples, about 20 minutes from the centre of town. Tickets are sold as either 1 day, 3 day or 7 day admissions. The prices are $32, $62 and $72 US dollars. Bring photo ID with you. It doesn't have to be a passport. David and I used our New South Wales (Australian) drivers licences. It is worth checking with your driver that your ID is sufficient. The drivers know all the rules. 5. Yes - you can pay for your ticket with a credit card. Until recently the only way you could pay for a ticket was with cash. This has changed. Credit cards are now accepted. It is probably worth having cash as a back up though. David and I had to return to the hotel to retrieve my credit card from the room safe when the electronic chip on his failed. 6. Don't lose your ticket. Your ticket will be checked again and again as you enter different temples. Keep it safe and readily accessible. Cambodians are a conservative people. If you turn up in clothes which fail to cover your knees and shoulders you risk being sent back to your hotel to change. You might get away with skimpy shorts and a shoe string top - or you might not. Crossing the moat to Angkor Wat. Notice how everyone has their shoulders and knees covered. 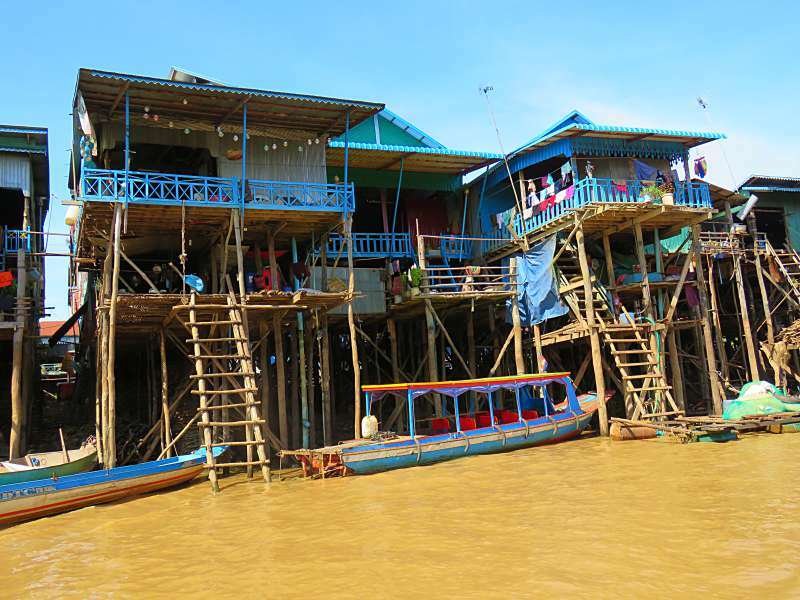 If you can't bear the idea of day after day of temple exploration, break it up with a visit to Tonle Sap floating village. 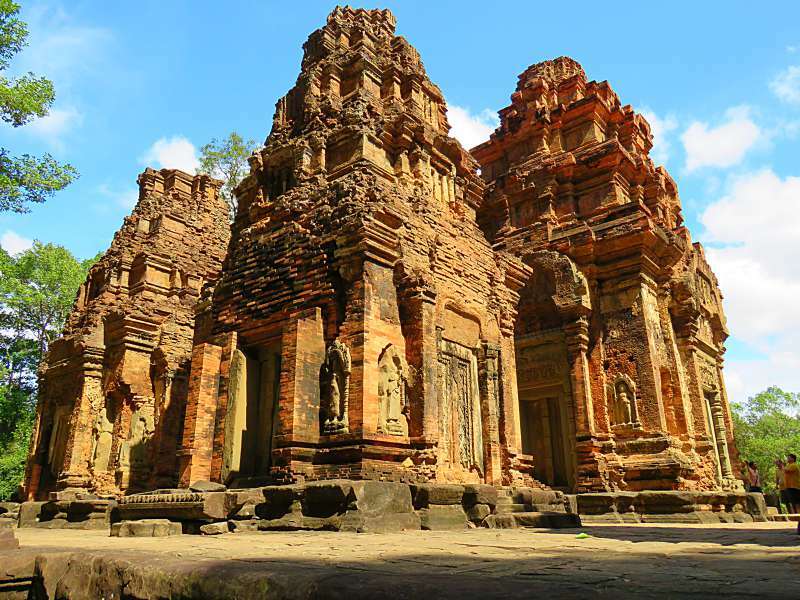 It makes a nice change from endless ruins and you can squeeze in a quick visit to Bakong and Preah Ko on your way back. 9. Don't stress about changing your US dollars into local currency. Siem Reap and the Angkor temples operate on US dollars, even the ATMs dispense them. You can spend a week there and never need a single Cambodian Riel. Any change you receive however will always be in Riel. 10. Check the weather before you book. Cambodia is in the tropics - hot and humid. David and I visited the country in January which is supposed to be the coolest month. It was still stifling. If you find heat and humidity difficult don't go in summer. David succeeding in not looking hot at Ta Som temple. 11. If all else fails book a tour! Click - here - for a great list of tours. If you enjoyed this post or found it useful please consider sharing it on social media. I always appreciate the compliment. I love the title of your blog! I was going to guess the yellow was something else, but very glad it was petrol instead. Lots of great advice here. I was in Siem Reap a couple of years ago in March and it was oppressively hot too. Air conditioning is a MUST and lots and lots of water, all of which is provided by guides and rental cars! Haha - I see what you are getting at with the yellow, although quite why anyone would sell that defies me. Water and air conditioning are both a must. I didn't realize that US$ were used in Angkor Wat. I guess that doesn't really matter if you're from Australia or New Zealand. I will definitely time my visit to minimize the humidity and rain. The idea of hiring a guide for the large temples sounds good. David and I spend so much time in the US that we had quite a few US dollars at home. It gave us a chance to use them. Also calculating the exchange rate when buying stuff was a lot easier. Actually I hardly ever calculate the exchange rate - that is David's job lol! Haha - we still did. We had to change our Aussie dollars to US dollars. I used this post to start my Cambodia Pinterest board. 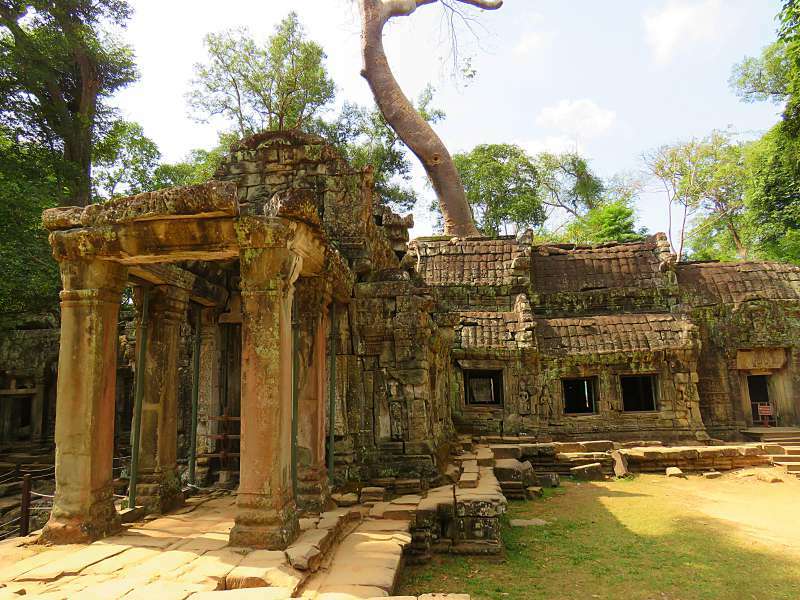 We used a private guide to visit Siem Reap for a full day. This included a driver and lunch in an air conditioned restaurant at the temple complex. Having the guide meant we did not have to stand in the general admission line for tickets. 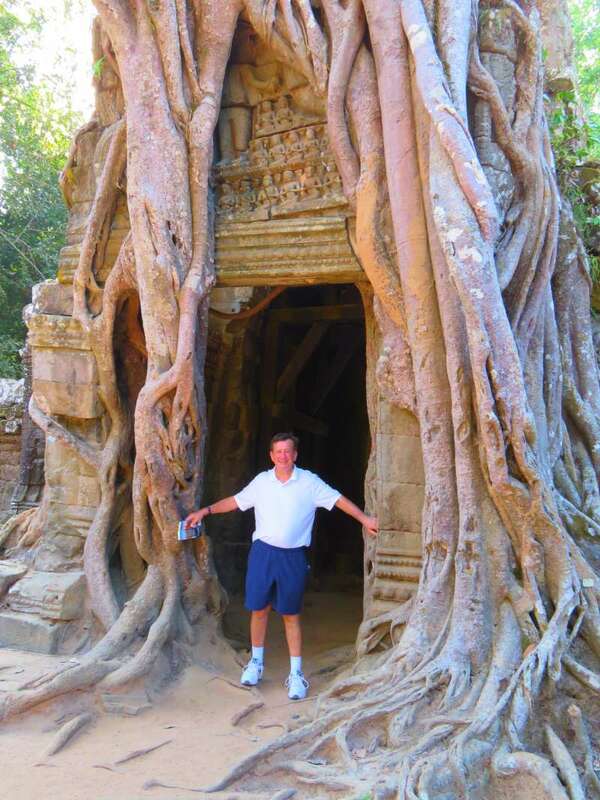 He also suggested visiting Angkor Wat at lunch time which really cut down on the crowds. Our guide has been my FB friend for going on 4 years! Sometimes, splurging on a guide may also be the only way to actually converse with a local if one doesn't speak (or even read) the language. Lots of people visit the temples early to minimise the heat however David refuses to get up early for anything unless he can't absolutely avoid it. We started late each day, about the time others were headed back to their hotel pools, and found the crowds not too bad. This is all great advice, and I love your title! Someday I'll go see Angkor Wat, maybe when I retire so I can go in January instead of the summer. I got the title from a guide on our subsequent river cruise. It was a phrase he used one day which I found amusing. Hey Lyn, how was the language and communication? I am hoping it won't be an issue. Cheers! Language wasn't an issue at all. 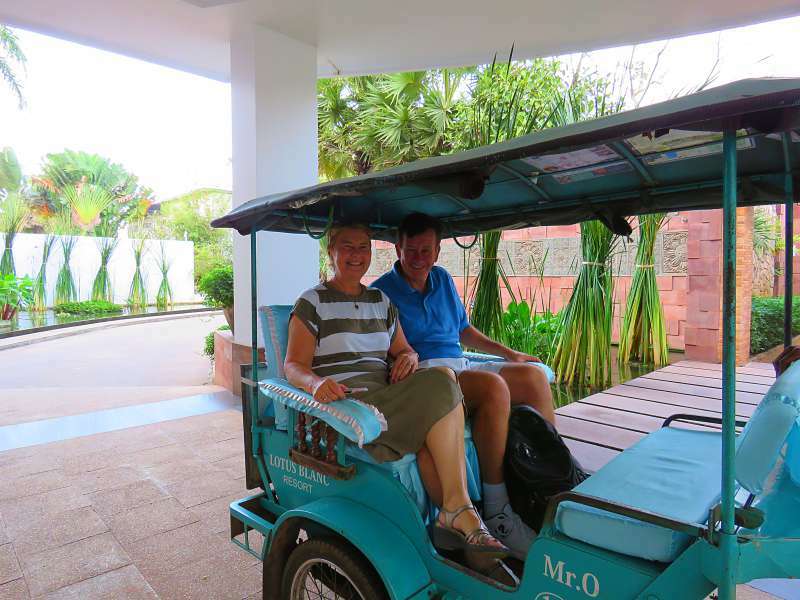 Siem Reap is such a big tourist destination that the hotel staff, the guides and the drivers all spoke English. The drivers spoke less English than the others but we still managed without too much trouble. You can also get guides in other major world languages. Our guide was learning Spanish and many of the guides spoke Mandarin. This was very interesting to read through! No one ever mentions this things when they talk about Cambodia! I like the idea of hiring a private tour guide for the temples as I would get them all mixed up! Thanks for linking up with #TheWeeklyPostcard! The temples do become a bit the same after a while. I have a chronic case of FOMO (fear of missing out) but you could probably see a couple of the big temples and one or two of the smaller ones and you wouldn't miss anything. Thanks for the beautiful pictures and informative article. The title captured our attention, and now we know what yellow Coke is. We certainly wouldn't want to drink it. My only disappointment was that I didn't have a better photo of it. It was everywhere we went in Cambodia in road side stalls and I only got one photo of it. Great photos and super tips! And what a title! Thanks. I was pretty pleased with the title myself. Love this post, so engaging beginning from the title! 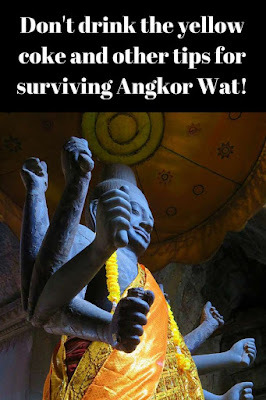 This post plus the one on the 7 top temples are such great tips for visiting Siem Reap. Maybe now I can. Visit Siem Reap, take a cruise down the Mekong and live up to your name 'Cruising Carol'. I can guarantee you'll love it. I'm saving this list for when I finally get to Angkor Wat. I'll saving my pennies so I can hire a Lexus. Haha - The Lexus was lovely but a Camry works just as well! We own a Camry (Aurion) at home and love it but there was something about the extra luxury which was fun on holidays. Cambodia is certainly getting a lot of great press these days. I watched an excellent program on the Love Nature channel about it last night. Thx for the great post. I'm sure I would enjoy a visit to Angkor Wat. 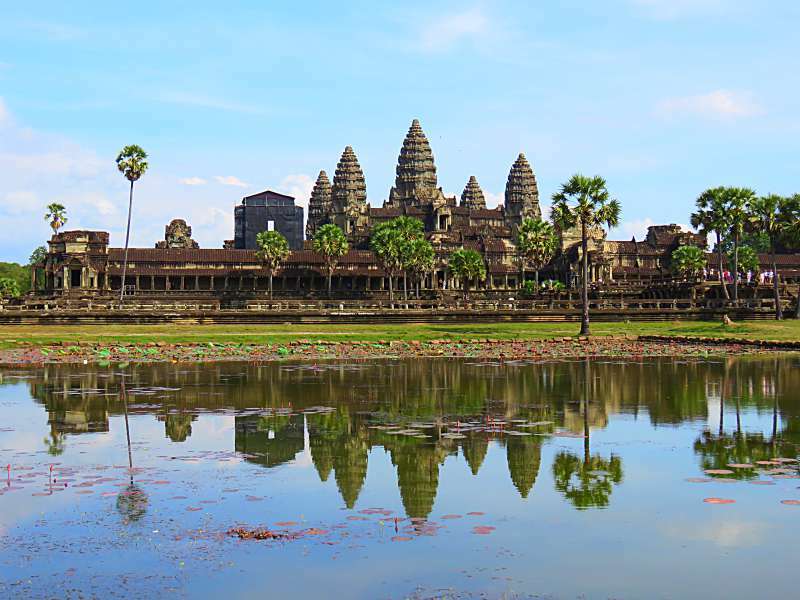 Angkor Wat has always been well known in Australia as a destination. Perhaps it is being discovered now by Americans too. It is a fabulous country, although very poor, with lovely people. Angkor Wat is stunning. Cambodia is a wonderful destination. The people are so lovely. As a photographer you would be in your element photographing the temples. While you are there pop down to Australia and I will introduce you to the wild kangaroos which come to our house every evening. They love eating David's lawn. Happy to say we came back alive via bicycle but it's definitely not for the faint of heart or inexperienced road cyclist. Agreed that having a guide makes a huge difference in the experience of exploring. Haha - I was thinking of you (of course) when I wrote that bit about cyclists. I still don't know how you did it - then to return to a Canadian winter. I admire you both! Super tips. We did the tuk tuk and got a tiny breeze riding around but the AC in car would be the way to now. More budget conscious in 2012. Not as much these days. I recall brutal, and I mean brutal, heat and humidity combo's. The heat was one thing. But super duper high humidity levels meant constant sweating and drinking of a gallon or more of water daily for me. We did a tuk tuk ride around town the afternoon we arrived and it was terrific fun but David wouldn’t even countenance the idea for the temples. He insisted on hiring a car. I have recently been diagnosed with a heart condition and it was touch and go whether we could go to Cambodia. It is nothing too major as long as I don’t do anything stupid – like get dehydrated in a hot humid climate. David has been on ‘look after Lyn’ watch ever since I scared him half to death by getting sick so there was no way he was going to see the temples in anything other than a car. I have to admit he was right. While you do get a breeze in a tuk tuk, sinking back into air conditioning between temples was the way to go. Good tips. I don't know if I will ever make it to Angkor Wat, but this will certainly help me be better prepared should I get there. It would be amazing to see. I didn't think I would ever see Angkor Wat because David hates tours and Cambodia is a difficult place to travel independently. Then out of the blue David offered to take me on a river cruise. 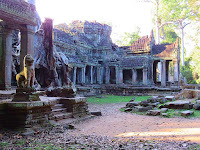 I chose one which left from Siem Reap and we had a few days at the Angkor temples before the cruise started. 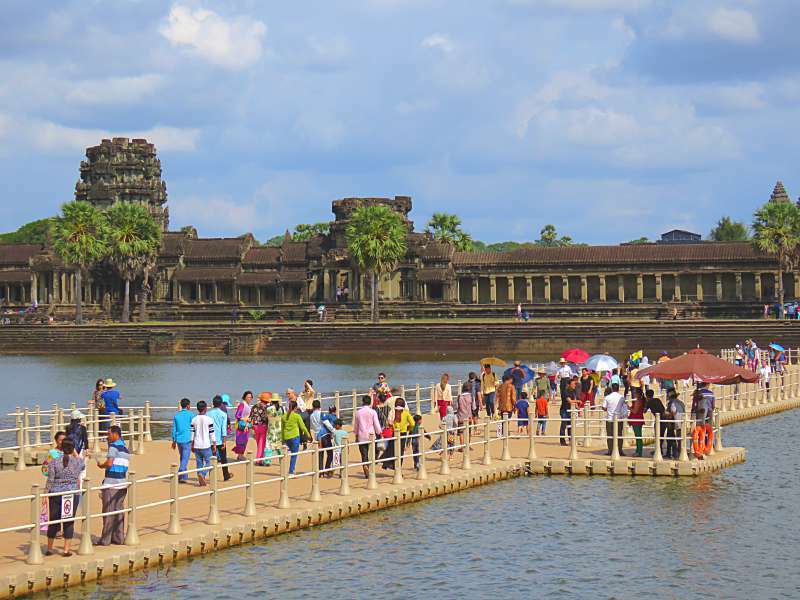 Tourist attractions like Angkor Wat can turn into a disappointment if the visit isn't prepared thoroughly. Your tips are very helpful.